Plano ISD Council of PTAs invites you to join our Community! Plano ISD Council of PTAs is here to assist local PTA/PTSA chapters meet the PTA vision of making every child's potential a reality. Successful students are everyone’s business, and successful schools build successful communities. We know there is no community without you. A Community Membership generally means joining a specific local PTA*, or a collection of local PTAs. Collections of PTAs can be supported by feeder pattern (picking a high school and one of each level school that feeds into that high school) or by a set number of schools. One of the great benefits of joining the PTA as a community member is that not only is your commitment to the students of Plano ISD made apparent to the larger PTA community, your voice also joins in the advocacy for students that happens locally, in the State of Texas, and the nation as a whole. 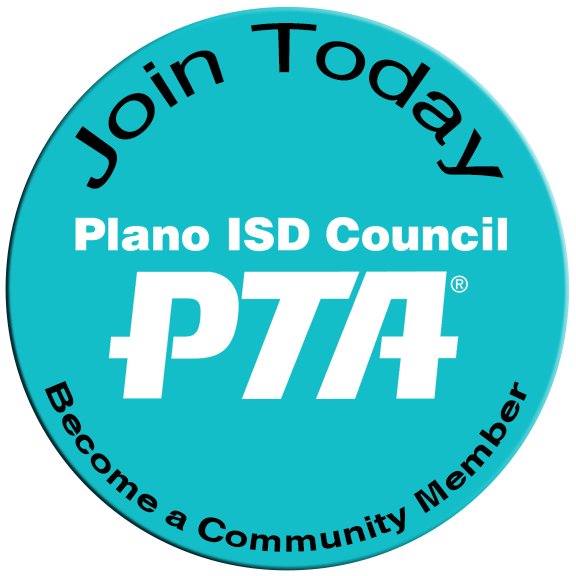 Join your local PTA or support multiple Plano ISD PTAs and become a PTA Community Member! If you would like to join a single campus visit JoinPTA.org. *Some local PTAs may have their own specific benefits regarding a Community Membership that may be separate from or concurrent to the possible benefits stated by the PISD Council of PTAs.